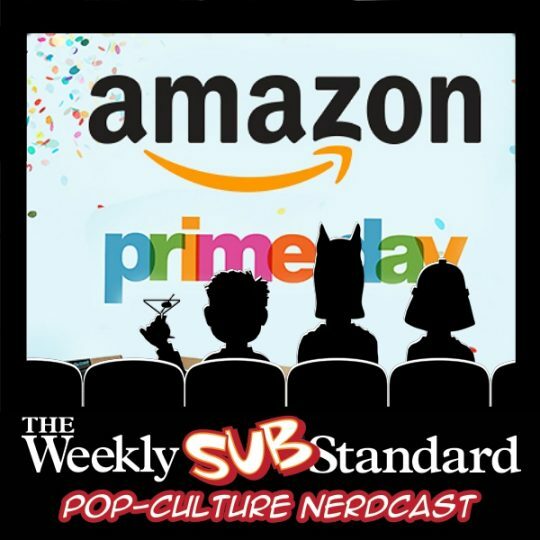 On the latest mini-episode of the Substandard, JVL, Vic, and I celebrated the most wonderful day of the year: Prime Day! Our beneficent masters at Amazon are offering all sorts of deals—I myself took advantage of promo code PRIMEBOOKS17, which gives you $5 off any book purchase of $15 or more! It's a short episode but well worth listening to if only for JVL's recommendation on how to make Prime Day EVEN BETTER. It's a doozy, ladies and gents. Listen now, it's better than thinking about emails and Russia and all that jazz. You definitely won't lose faith in America at the end of it. This entry was posted in Culture and tagged Amazon. Bookmark the permalink.